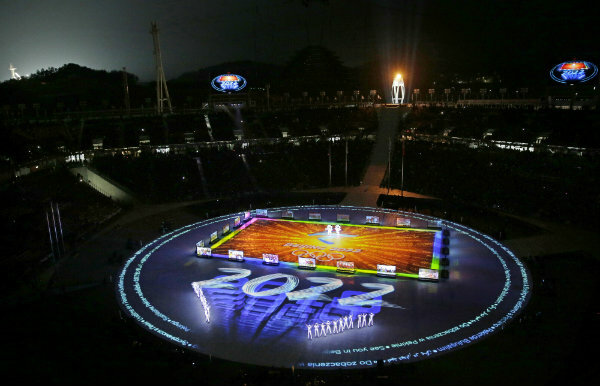 The Nielsen company said that the NBC-only average in primetime was 17.8 million, or a 17 percent decline from Sochi. In 2014, NBC only offered prime-time coverage on the network, and did not have simultaneous programming on cable and online. In a reflection of how traditional television viewership is changing, NBC said the prime-time Olympic coverage throughout the Olympics (19.8 million) essentially doubled the viewership of ABC, CBS and Fox combined during that period. The Olympics dominated TV: No other program beat it in the ratings while the games were on. In contrast, during the 2006 Olympics, the games were the night’s top-rated program on only eight of 17 nights. NBC averaged 14.2 million viewers for the week. CBS had 4.8 million, ABC had 3.5 million, Fox had 2 million, Univision had 1.8 million, ION Television had 1.5 million, Telemundo had 1.2 million and the CW had 840,000. Fox News Channel was the week’s most popular cable network, averaging 2.23 million viewers in prime time. MSNBC had 1.74 million, NBCSN had 1.68 million, USA had 1.4 million and AMC had 1.39 million. While the “Today” show bathed in the Olympic glow to beat its morning rivals, the opposite thing happened in the evening. NBC’s “Nightly News” was broadcast in the mid-afternoon on the West Coast because of the Olympics, and it led to that broadcast being crushed by ABC. ABC’s “World News Tonight” averaged 9.3 million viewers, “Nightly News” had 8.3 million and the “CBS Evening News” had 6.6 million. Below are primetime viewership numbers compiled by Nielsen for Feb. 19-25. Listings include the week’s ranking and viewership.